PLANO, Texas, August 6, 2018 — Green Brick Partners, Inc. (NASDAQ: GRBK) (“we,” “Green Brick” or the “Company”) today reported results for its second quarter ended June 30, 2018. For the three months ended June 30, 2018, adjusted pre-tax income attributable to Green Brick was $20.7 million, an increase of 72.1%, compared to $12.0 million for the three months ended June 30, 2017; gross profit was $34.6 million, an increase of 51.0%, compared to $22.9 million for the three months ended June 30, 2017; and total revenue was $155.0 million, an increase of 47.7%, compared to $105.0 million for the three months ended June 30, 2017. Revenue from the sale of residential units for the three months ended June 30, 2018 was $143.9 million, an increase of 43.4%, compared to $100.3 million for the three months ended June 30, 2017. Revenue from the sale of land and lots for the three months ended June 30, 2018 was $11.1 million, an increase of 141.7%, compared to $4.6 million for the three months ended June 30, 2017. The dollar value of backlog units as of June 30, 2018 was $314.2 million, an increase of 90.2% compared to June 30, 2017. Homes under construction increased 38.4% to 988 as of June 30, 2018, compared to 714 as of June 30, 2017. For the six months ended June 30, 2018, adjusted pre-tax income attributable to Green Brick was $35.4 million, an increase of 60.2%, compared to $22.1 million for the six months ended June 30, 2017; gross profit was $61.7 million, an increase of 39.7%, compared to $44.2 million for the six months ended June 30, 2017; and total revenue was $283.3 million an increase of 38.7%, compared to $204.3 million for the six months ended June 30, 2017. Revenue from the sale of residential units for the six months ended June 30, 2018 was $264.2 million, an increase of 36.4%, compared to $193.7 million for the six months ended June 30, 2017. Revenue from the sale of land and lots for the six months ended June 30, 2018 was $19.0 million, an increase of 80.5%, compared to $10.5 million for the six months ended June 30, 2017. “Green Brick’s adjusted pre-tax income of $20.7 million was a record for any quarter, despite being achieved with only 23% net debt to capital. As we use additional debt and retained earnings to fund the amazing 90% growth in our second quarter backlog, our 2019 revenue and earnings should continue to significantly grow” said Jim Brickman, CEO of Green Brick Partners. “We have never been more excited about our future. I want to thank and congratulate everyone on the Green Brick team for our success”, continued Mr. Brickman. We will host our earnings conference call to discuss our second quarter ended June 30, 2018 at 12:00 p.m. Eastern Time on Tuesday, August 7, 2018. The call can be accessed by dialing 800-374-0137 for domestic participants or 904-685-8013 for international participants. Participants should reference conference ID code 8383968. A replay of the call will be available from approximately 3:30 p.m. Eastern Time on August 7, 2018 through 11:59 p.m. Eastern Time on August 14, 2018. To access the replay, the domestic dial-in number is 855-859-2056, the international dial-in number is 404-537-3406 and the conference ID code is 8383968. In this press release, we utilize certain financial measures that are non-GAAP financial measures as defined by the Securities and Exchange Commission. We present these measures because we believe they and similar measures are useful to management and investors in evaluating the Company’s operating performance and financing structure. We also believe these measures facilitate the comparison of our operating performance and financing structure with other companies in our industry. Because these measures are not calculated in accordance with U.S. Generally Accepted Accounting Principles (“GAAP”), they may not be comparable to other similarly titled measures of other companies and should not be considered in isolation or as a substitute for, or superior to, financial measures prepared in accordance with GAAP. The following table presents the non-GAAP measure of adjusted EPS for the three and six months ended June 30, 2018 and 2017 and reconciles these amounts to net income attributable to Green Brick as reported and prepared in accordance with GAAP. Adjusted EPS for the three and six months ended June 30, 2018 and 2017 represents adjusted pre-tax income for the period presented, divided by the weighted average number of common shares outstanding for the three and six months ended June 30, 2018 and 2017, respectively. Adjusted pre-tax income represents net income attributable to Green Brick for the period, excluding the provision for income taxes attributable to Green Brick and one-time transaction expenses related to a public secondary offering of the Company’s shares. The following table represents the non-GAAP measure of adjusted homebuilding gross margin for the three and six months ended June 30, 2018 and 2017 and reconciles these amounts to homebuilding gross margin, the most directly comparable GAAP measure. Green Brick Partners, Inc. (NASDAQ: GRBK) is a diversified homebuilding and land development company. The Company acquires and develops land, provides land and construction financing to its controlled builders and participates in the profits of its controlled builders. Green Brick owns a controlling interest in four homebuilders in Dallas, Texas (CB JENI Homes, Normandy Homes (a division of CB JENI Homes), Southgate Homes, and Centre Living Homes), as well as a homebuilder in Atlanta, Georgia (The Providence Group) and a homebuilder in Port St. Lucie, Florida (GHO Homes). Green Brick also owns a noncontrolling interest in Challenger Homes in Colorado Springs, Colorado. The Company is engaged in all aspects of the homebuilding process, including land acquisition and development, entitlements, design, construction, marketing and sales and the creation of brand images at our residential neighborhoods and master planned communities. For more information about Green Brick Partners Inc.’s homebuilding partners, please visit https://greenbrickpartners.com/team-builders/. Any statements in this press release about Green Brick’s expectations, beliefs, plans, objectives, prospects, financial condition, assumptions or future events or performance that are not historical facts are forward-looking statements. These statements are often, but not always, made through the use of words or phrases such as “may,” “will,” “should,” “could,” “would,” “predicts,” “potential,” “continue,” “expects,” “anticipates,” “future,” “outlook,” “strategy,” “positioned,” “intends,” “plans,” “believes,” “projects,” “estimates” and similar expressions, as well as statements in the future tense. 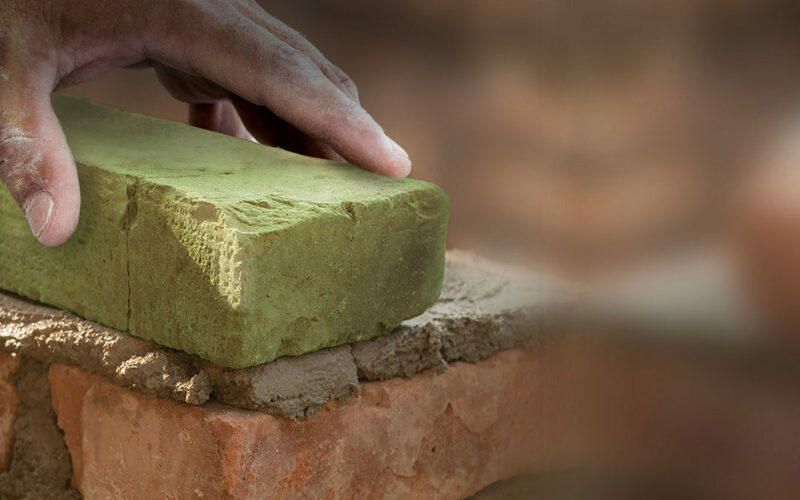 These statements are based on assumptions that Green Brick has made in light of its experience in the industry as well as its perceptions of historical trends, current conditions, expected future developments and other factors it believes are appropriate under the circumstances. Accordingly, all such forward-looking statements involve estimates and assumptions that are subject to risks, uncertainties and other factors that could cause actual results to differ materially from the results expressed in the statements. Among the factors that could cause actual results to differ materially from those projected in the forward-looking statements are the following: general economic conditions, seasonality, cyclicality and competition in the homebuilding industry; demand for real estate investments in the geographic markets in which we operate; significant inflation or deflation; labor and raw material shortages; the failure to recruit, retain and develop highly skilled and competent employees; an inability to acquire land suitable for residential homebuilding at reasonable prices; an inability to develop and sell communities successfully or within expected timeframes; risks related to regulatory approvals and government regulation; the interpretation of or changes to tax, labor and environmental laws and regulations; volatility of mortgage interest rates; the unavailability of mortgage financing; the occurrence of severe weather or natural disasters; risks related to future growth through strategic investments, joint ventures, partnerships and/or acquisitions; risks related to holding noncontrolling interests in strategic investments, joint ventures, partnerships and/or acquisitions; the inability to obtain suitable bonding for the development of housing projects; difficulty in obtaining sufficient capital; the occurrence of a major health and safety incident; poor relations with the residents of our communities; information technology failures and data security breaches; product liability claims, litigation and warranty claims; our debt and related service obligations; required accounting changes; inability to maintain effective internal control over financial reporting; and other risks and uncertainties inherent in our business. Additional factors that could cause actual results to differ from those anticipated are discussed in the “Risk Factors” and “Management’s Discussion and Analysis of Financial Condition and Results of Operations” in the Company’s annual and quarterly reports filed with the Securities and Exchange Commission. Because the factors referred to above could cause actual results or outcomes to differ materially from those expressed or implied in any forward-looking statements made by Green Brick, you should not place undue reliance on any such forward-looking statements. Further, any forward-looking statement speaks only as of the date of this press release, and Green Brick undertakes no obligation to update any forward-looking statement to reflect events or circumstances after such date. To view exhibit 99.2, please click here.